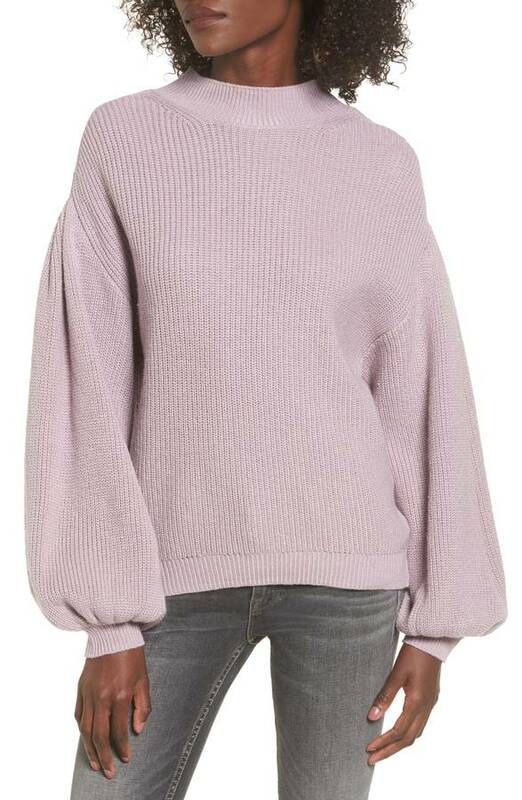 Have you noticed that sweaters this Fall have attitude. And they are showing it with their sleeves. 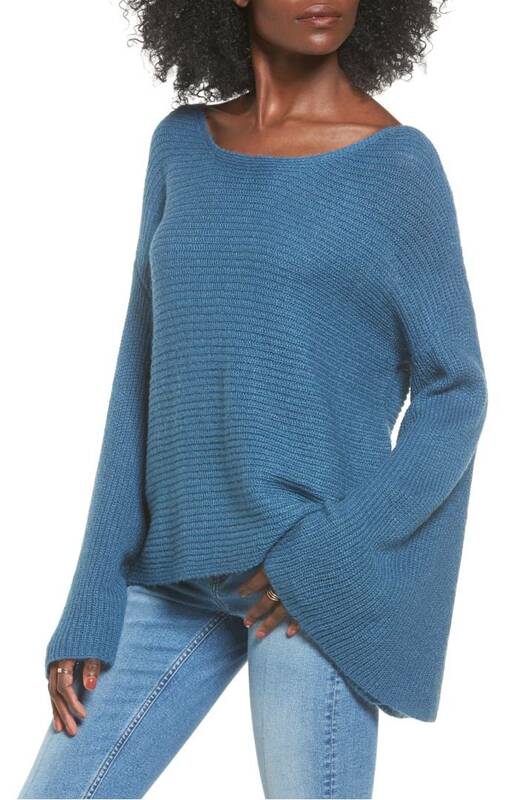 Click at the bottom of each photo to see even more. 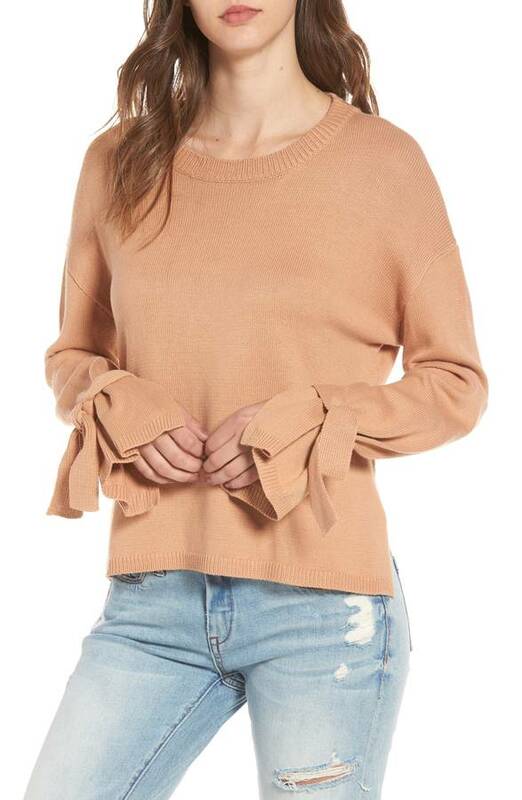 Flouncy tied cuffs with an easy, oversized fit. 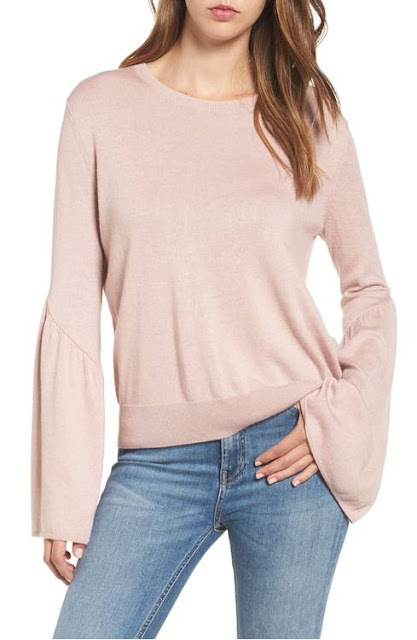 Puffed to the elbow, Juliet sleeves bring a sense of romance to this bateau neckline pullover in a ribbed cotton-blend knit. 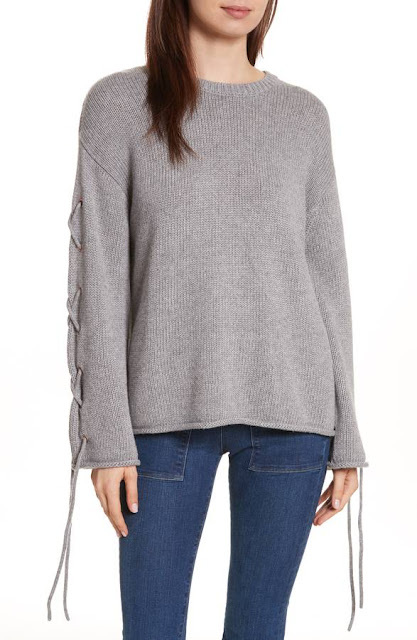 Slender laces thread through grommets on the dramatically slouched sleeves of this cozy, cashmere-kissed sweater. Tiered, rib-knit sleeves add unexpected volume to this classic cotton-blend, cable-knit sweater. 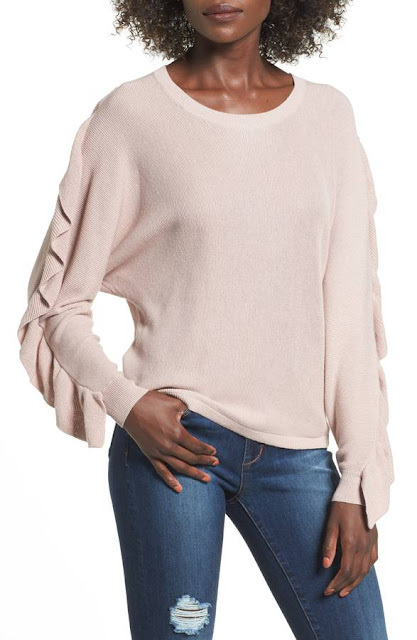 A contemporary take on a classic sweater, this lightweight, cashmere-kissed version is framed with ruffled and romantic bell sleeves. 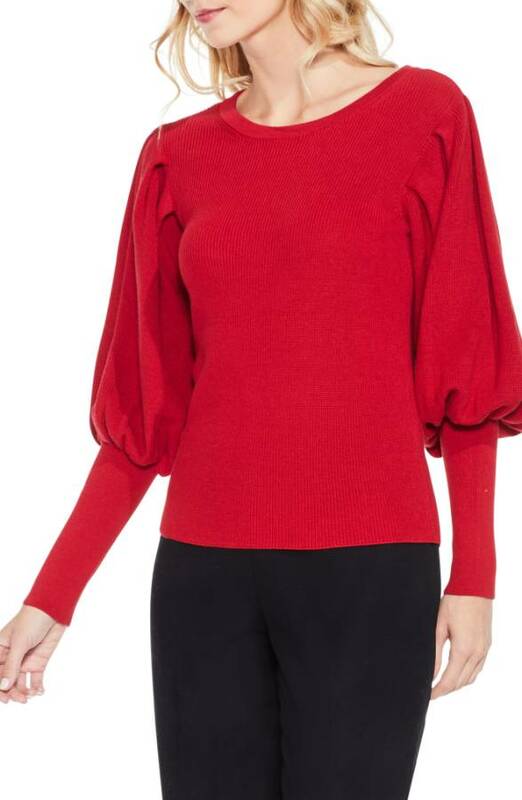 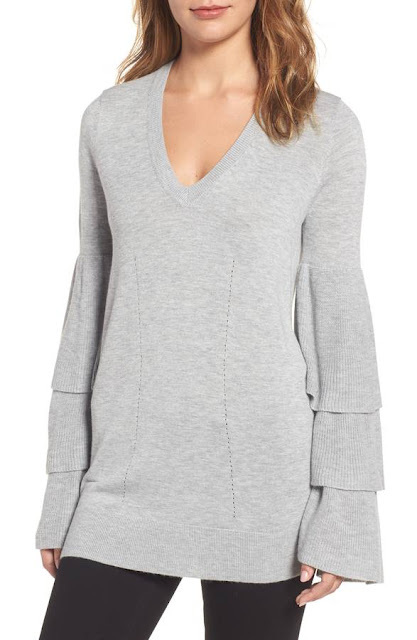 Voluminous bell sleeves add playful volume to a super soft sweater knit with a touch of wool. 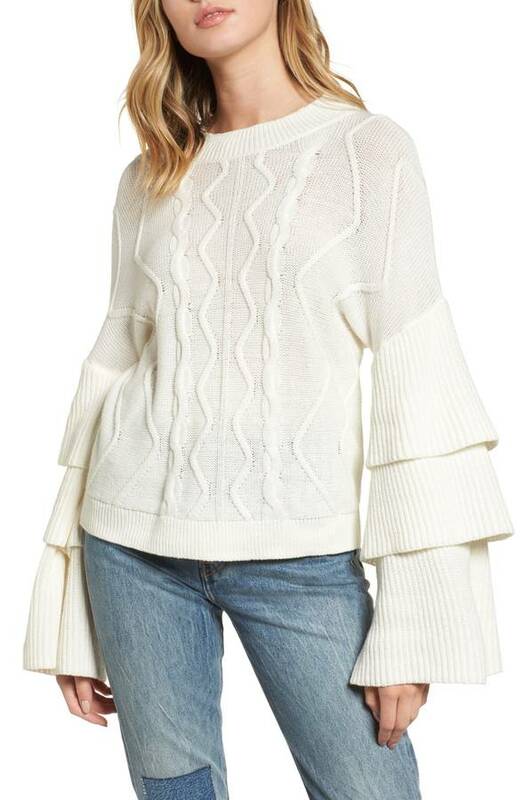 Ruffled from shoulders to wrist, this comfy knit makes a soft statement. 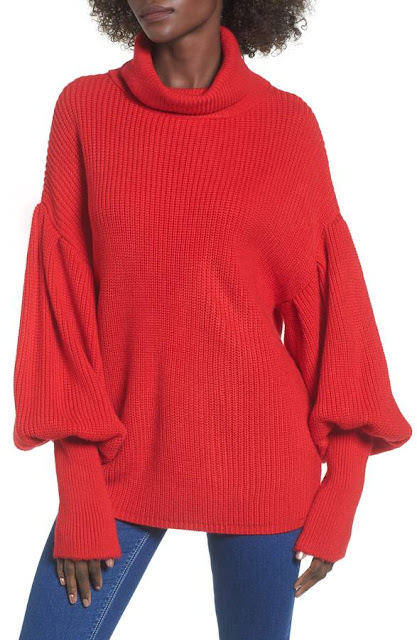 Which one belongs in your closet?